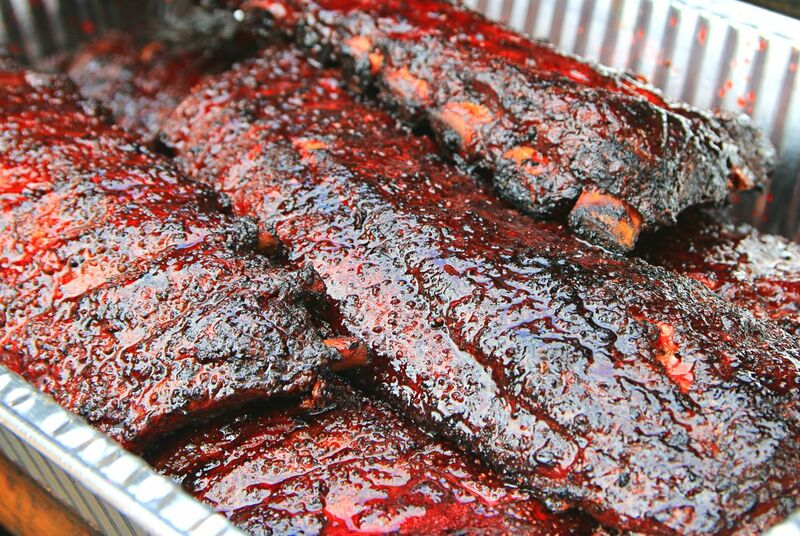 Luckily in Texas the popularity of barbecue and the related fanaticism has grown to a point where multiple barbecue festivals can be held. 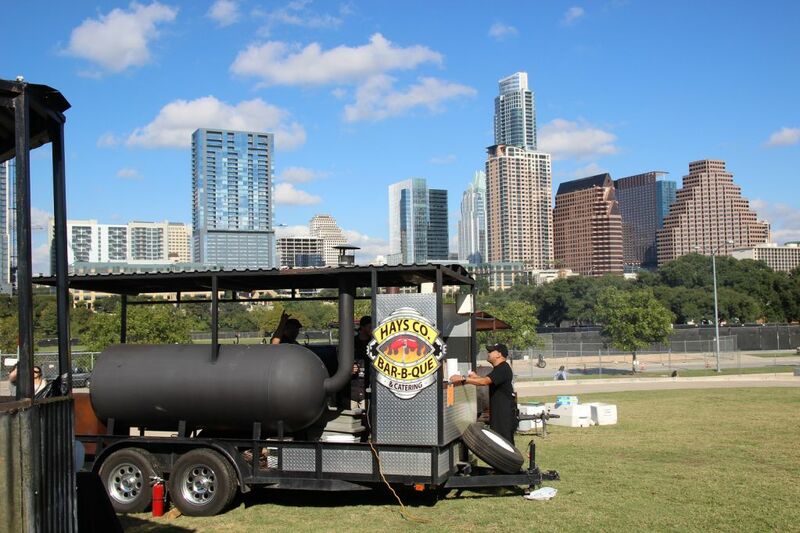 There is no better way to sample some of the best barbecue in Texas in a single day without driving hundreds of miles and likely spending more money than the cost of a ticket to one of these events. Most of the festivals will also draw at least a few participants from out of their region which also allows sampling barbecue that you may have wanted to experience but haven’t been able to visit in person. Not a contest. This isn’t a cook off, and there is no winner other than those who get to eat! Sure you can pick your favorite of the day, but remember that meat sources, options, and cooking vessels all can differ from a restaurants normal capabilities so don’t judge a joint by your experience at a fest. Quality BBQ joints. 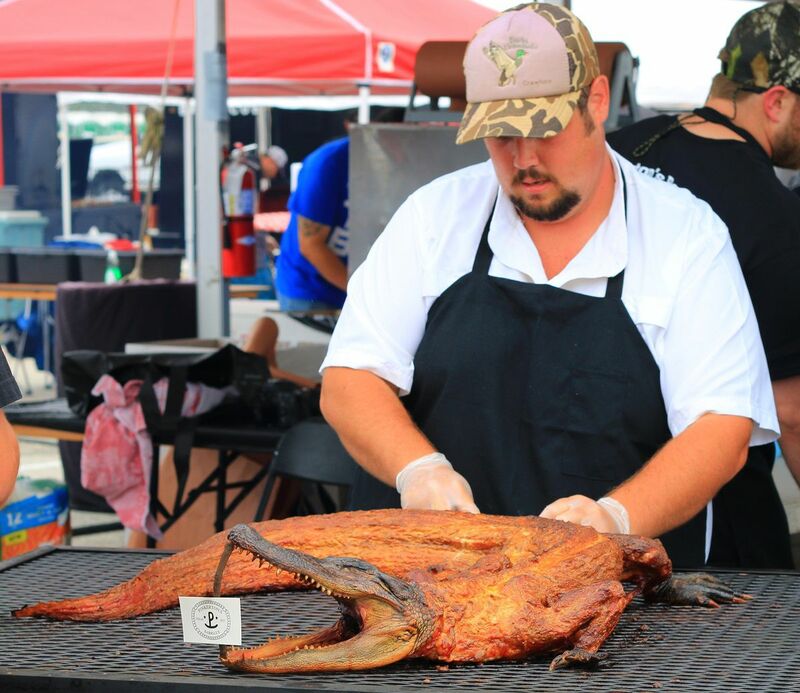 Yes, sometimes lesser joints help fill out a roster, but they are all there trying their best, and all of the fests offer plenty of top tier barbecue talent. Live musical entertainment. This can be as small as a single band to an entire concert which tickets can be purchased separately for those who (shouldn’t) skip the barbecue. Red Dirt is the big daddy but Smoked Dallas has a great line up for 2016. These events morph from the meat fest into a full-fledged concert as the sun sets and are a great way to work off the calories consumed during the day. Coveted VIP option. For an additional purchase which is usually near double the general admission price you get a couple of drinks, a goodie bag, and early entry up to an hour with only other VIPs. Virtually no line at most booths and fests with the exception of Franklin Barbecue – however the line during VIP is shorter than during General Admission (Still expect a 20+ minute wait). You just have to ask yourself how much would you pay for a shorter line. My recommendation is to use the valuable VIP time to hit up the other joints, and either hit up Franklin later in the day (they will cook more than others) or just go visit them on a regular business day and order as much food as you like. Other VIP goodies may include a souvenir pint glass with the event information, stickers, and coupons. Many booths will serve special food items only during VIP time or until they run out. 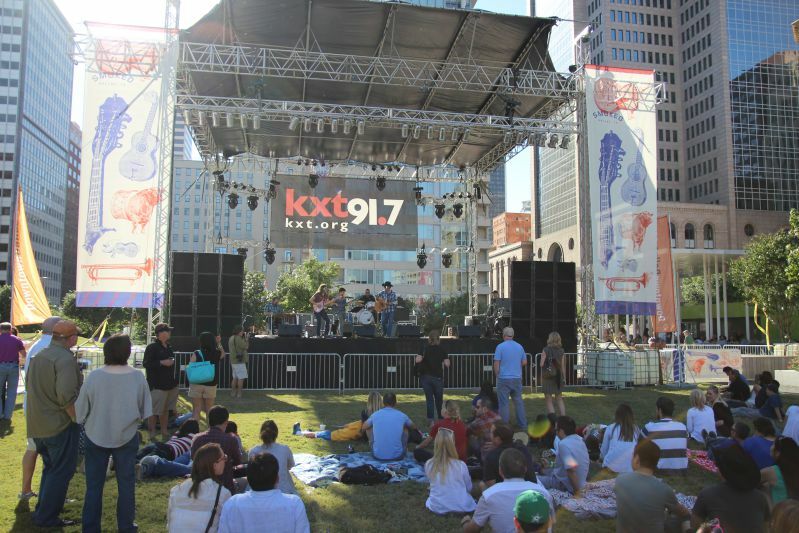 The music festivals (Red Dirt and Smoked Dallas) provide VIPs with an exclusive viewing area of the concerts and more. Adult beverages for purchase. Pricing ranges from very reasonable to football stadium prices. Most include dessert either as free sampling or for purchase. Sponsor booths may offer free samples and often have giveaways and contests. SWAG. From stickers to keychains to koozies to t-shirts, I’ve walked out with some great bags of goodies. Many barbecue joints will also offer shirts, hats, and koozies for sale. Don’t judge a barbecue joint by what you eat at a fest. Find out why in my article here. So which one should you attend? Each has their own advantages. Red Dirt draws a wide range of barbecue joints and top shelf music. It feels more like an all-day (and night) party than a meat fest. The event’s location in Tyler and the late night of music is best enjoyed with an overnight stay, which makes the event even more of a getaway. HOUBBQ puts a big focus on Houston area barbecue with a few special guests. It’s a great way to explore the Houston barbecue scene in a single day. 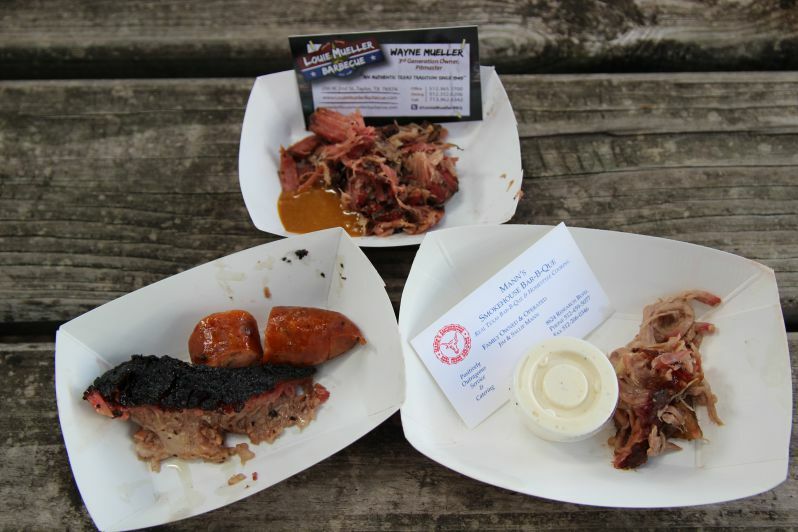 The 2016 event featured a wide range of barbecue that included alligator and smoked pastrami. Smoked Dallas has kicked up their music lineup and this year features headliners The Toadies. The opening acts are solid, too, and include the Dirty River Boys who performed at Red Dirt 2016. Great barbecue from local and farther distanced locations are offered up this year. The Woodlands BBQ fest is all new for 2016 and proceeds benefit the Pulmonary Hypertension Association. For a first year event they’ve drawn a good number of participants and the hosts want to make this an annual event, it’s definitely worth a visit. First time event participants Southern_Q and newly opened but extremely well reviewed The Pit Room are included along with many quality joints. Discount codes can be had from participating barbecue joints. Gettin’ Sauced is a great little event that is part brew fest, part sauce competition, part barbecue festival, and all fun. While it may not sport the largest lineup of barbecue joints, it features some high quality well known joints and some very hot new joints that are worth checking out. Along with quality well-known establishments are Slab BBQ, Truth BBQ, 2M Smokehouse and Catering (featuring former la Barbecue pitmaster Esaul Ramos), and Brotherton Barbecue (who has been referred to as the Pfranklin of Pflugerville). Six breweries will also be in attendance. TMBBQ Fest features 25 joints from the Texas Monthly top 50 list and special guests Evie Mae’s from Lubbock and The Beast from Paris. The fest is large and intense. While the higher entry fee may make for a costlier day, ample free cold water is available and for 2015 free samples of adult beverages and desserts were also available. This is also the only fest where Aaron Franklin is in attendance, and has the highest concentration of quality barbecue joints.